KLINGER Baltic OÜ deals with industrial- and marking supplies whole selling. Company represents world leading brands such as Simmerring, KLINGER, Vaculex, Busch, Franz Gottwald, Collmat, Ventus, Domino and Sato. KLINGER Baltic OÜ wholesales industrial and marking supplies. Company represents world leading brands such as Simmerring, Klinger, Vaculex, Busch, Franz Gottwald, Collmat, Ventus, Domino and Sato. Among our clients we are appreciated as trustful and high-quality working partners, always offering personal approach, quick service and best solutions. We are offering different seals such as shaft seals, roll-mill shaft seals, V-rings and gamma rings, O-rings and backup rings and hydraulic seals. Also we do offer different gaskets, cut from different materials and in different measurements. In our cutting-shop located in Finland, they use CAD-technology which assures top quality to gaskets. Our warehouse allows us to deliver orders quickly. Our biggest clients are active in oil, wood and power industry, as well as in machinery industry. From marking equipment we can offer ink and laser printers, industrial and desktop printers, also standalone printers and different hand labelling systems. We can also offer Ventus-automatic equipment to print and apply the labels. First Ventus machine came to market in 1994 and right now it has 8 different models. We are offering service all over the Estonia to all machines we’ve provided to our clients. Our service technicians install and maintain all marking equipments professionally, as well as help and advice the users in problem situations. Today, the Group compromises over 40 companies and more than 60 manufacturing, distribution and service hubs worldwide. 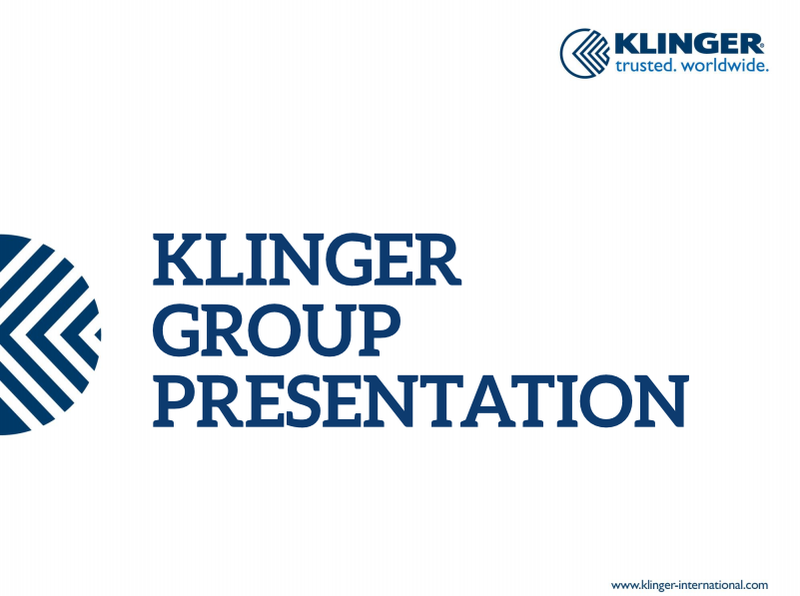 The KLINGER Group employs more than 2,300 people and generated € 410 million annual sales in 2014. 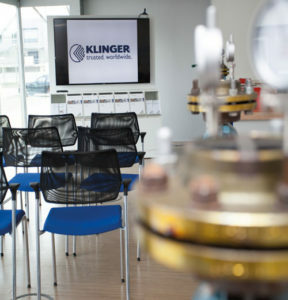 For further information, please visit KLINGER International web-page: http://www.klinger-international.com. 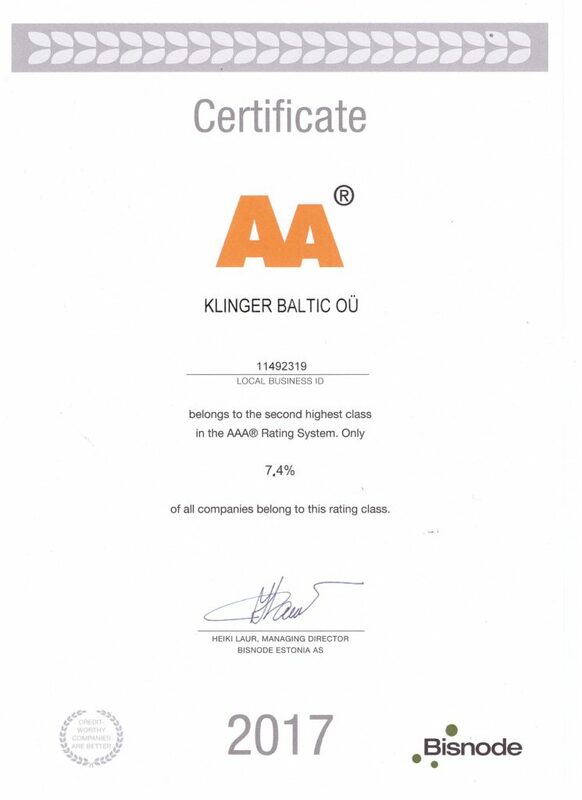 KLINGER Baltic OÜ belongs to the second highest class in the AAA Rating System. 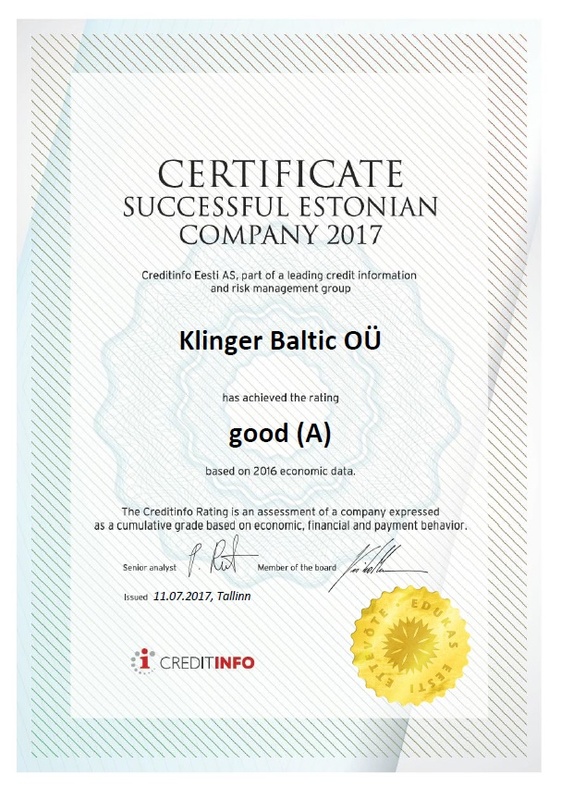 Based on 2016 economic data, KLINGER Baltic OÜ has achieved Successful Estonian Company 2017 rating A (good). 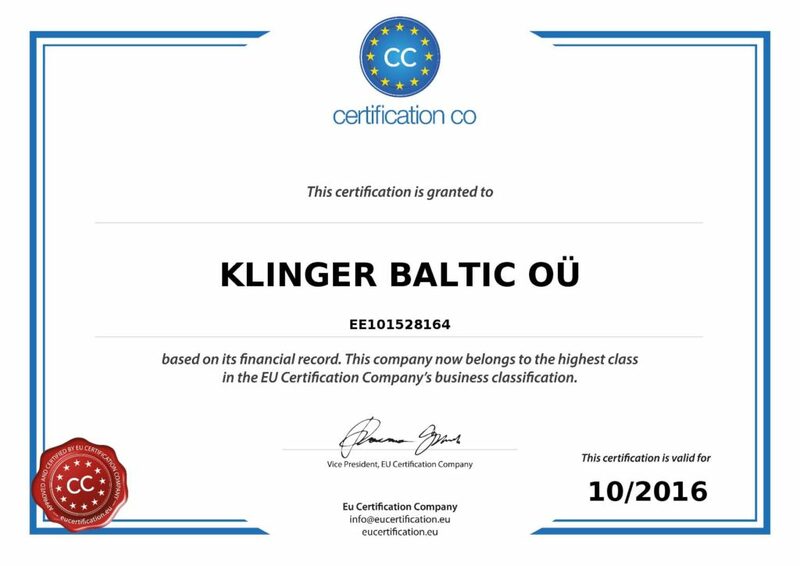 KLINGER Baltic belongs to the highest class in the EU Certification Company’s business classification. Based on 2015 economic data, KLINGER Baltic OÜ has achieved Successful Estonian Company 2016 rating A (good). Personal data is data that KLINGER Baltic collects to provide a service, identify a person, contact a person to provide a service or resolve issues. KLINGER Baltic does not process sensitive personal data as defined in the Regulation of the EUROPEAN PARLIAMENT AND OF THE COUNCIL REGULATION (EU) 2016/679 (General Data Protection Regulation, GDPR or EU Regulation 2016/679). KLINGER Baltic undertakes to protect the personal data of clients and users and their privacy. The activities of KLINGER Baltic on the Internet are in line with all relevant activities and relevant EU legislation and laws of the Republic of Estonia, including REGULATION (EU) 2016/679 OF THE EUROPEAN PARLIAMENT AND OF THE COUNCIL. Mailbow will take all precautionary measures (including administrative, technical and physical measures) to protect personal data collected. Access to data editing and processing is restricted to authorized persons. Our website picks up and stores various information cookies (cookies) when the visitor’s page comes. The corresponding information and personal data will be stored in server log files. For example, the following information is stored on you: the type and version of the browser, the operating system, language preference, time and session length, when the website is visited, the location from which the visit is made, the IP address, the data on mobile devices, if you visit a website, etc. This information is for analytic purposes only (Google Aanalytics) and is not associated with personal information. When filling out forms on the website, please pay attention to the purpose for which you fill out the form. We collect only as much information as you need to provide the service you have requested (for example, your first and last name, email address, company name to create an offer, to answer queries, to download materials, to send goods, etc.). Forms of filling (transfer of personal data) are linked to existing information chunks, which contain the information stored on you, the information provided by your form, that is, it is associated with your data (name, telephone, e-mail address, etc.). Your personal information is used to compose personalized emails and provide services. For other purposes personal data is not processed or issued to third parties. Unbound technical data collected from websites and service environments is retained indefinitely. Personal data relating to personal queries and / or transactions will be kept for up to 7 years from the last interaction with the service provider in accordance with the obligation under the Accounting Act to prove transactions. Interactions include, inter alia, response to direct marketing by clicking on a view or link. If you wish to be “forgotten”, please inform us by e-mail info@klinger.ee. Based on the request, we will remove information related to your inquiry (s) from our systems.